The N.Y.C. Dept. of Housing Preservation and Development (HPD), N.Y.C. 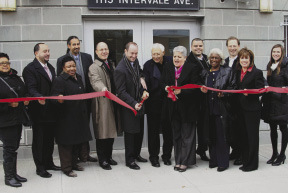 Housing Development Corp. (HDC), Azimuth Development Group, Best Development, South East Bronx Community Organization Development, Inc. (SEBCO) and partners celebrated the opening of Intervale Senior Residences, a newly constructed senior housing building located at 1115 Intervale Ave. The development, which contains 44,270 s/f of gross building area, will house 47 rental apartments available to low-income tenants 55 years of age or older, plus an additional superintendent's unit. Also in attendance at the ribbon cutting were deputy Bronx borough president Aurelia Greene; senior policy advisor for economic development and employment Cheryl Simmons-Oliver, representing congressman Jose Serrano; assemblyman Marcos Crespo; and city council member Maria del Carmen Arroyo. Intervale was developed as part of mayor Michael Bloomberg's New Housing Marketplace Plan (NHMP). The NHMP is a multi-billion dollar initiative to finance 165,000 units of affordable housing for half a million New Yorkers by the close of fiscal year 2014. For every dollar invested by the city, the plan has leveraged $3.41 in private funding for a total commitment of $19.4 billion to fund the creation or preservation of 142,422 units of affordable housing across the five boroughs, with 44,993 units financed in the borough. "Now more than ever New Yorkers need the support of city officials and our partners. It is important that we join together to find a way to provide safe and affordable homes for New Yorkers," said HPD commissioner Mathew Wambua. "The opening of Intervale is a testament to the commitment of our partners. We need to keep New Yorkers in safe affordable housing that meets their basic needs. I'm proud of our involvement in this development and applaud all of our partners who made it possible. Let us continue to work together to support our neighbors in need." "I would like to thank all of our partners and elected officials who have continued to work hard to meet the needs of our seniors," said Simon Bacchus, senior vice president of development at HDC. "Intervale Senior Residences will not only be a safe place for our residents to call home, but will enrich their lives and strengthen this community during these difficult times." "During the early planning stages of this development, we looked at the need for senior housing in the Bronx and we saw tremendous demand. 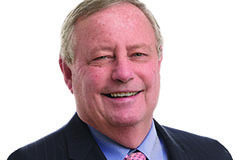 In these challenging times, it is imperative that we provide quality housing to keep seniors in place," said Guido Subotovsky, President of Azimuth Development Group LLC. "We are proud to be a part of this exciting new development." "This project is a testament to the quality of construction that our team strives to implement," said Jeremy Hoshia, Project Manager, Joy Construction Corp. "We take great pride in providing a building that will serve the community for years to come." Intervale Senior Residences is an eight-story mid-rise residential building that is divided into 13 studios, 34 one-bedroom apartments, and one two-bedroom apartment reserved for a superintendent. All units are handicap-accessible and equipped with call buttons in case of an emergency. The building was designed to maximize convenience for tenants by minimizing the distance between elevators and individual apartments. In addition, there is an on-site 2,200 s/f resident community center with a large open gathering room, private office, full kitchen and two bathrooms, as well as a landscaped rear garden for residents to enjoy. Residents who are at least 60 years old will also have access to the SEBCO Senior Program that will provide transportation to their senior center at 887 Southern Blvd. for recreation and lunch services. Ten of the units are availaxlike to receive an e-mail when HPD has updated its website concerning available apartment and home listings for City-subsidized housing in the five boroughs, please visit the Apartment Seekers and Homebuyers pages at www.nyc.gov/hpd/. The total development cost for Intervale Senior Residence is $11,305,985. HDC, through its Low-income Affordable Marketplace Program (LAMP), provided a senior loan funded with $5.66 million in tax-exempt bonds, allowing the project to benefit from equity generated from 4% Low Income Housing Tax Credits. HDC also provided an additional loan in the amount of $3,120,000. Raymond James Tax Credit Funds, Inc. will act as the tax credit syndicator. JP Morgan Chase provided a stand-by letter of credit. HPD, through its Low Income Rental Program, provided $262,170 in City Capital funds and approximately $1.62 million in HOME funds. Arroyo provided City Capital Reso A funds in the amount of $1 million. The developers are Guido Subotovsky of Azimuth Development, Ron Schulman of Best Development and SEBCO Development, Inc. SEBCO is also the non-profit social service provider and proposed managing agent. Aufgang + Subotovsky acted as the project architect.